- LAVENDER calms and soothes redness. - PHYTOSPHINGOSINE helps to fight spots and blemishes. 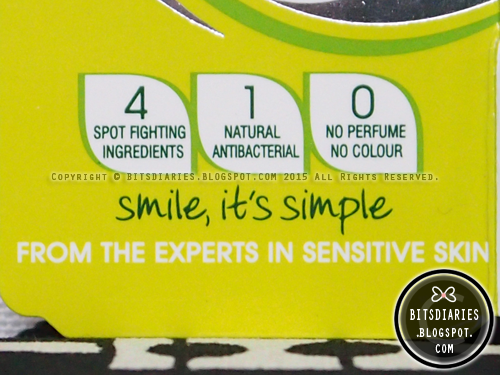 - NO ARTIFICIAL, UNNECESSARY CHEMICALS (= No artificial coloring or perfume...) so it won't upset your skin. and... it claims to zap spots in just 4 hours! 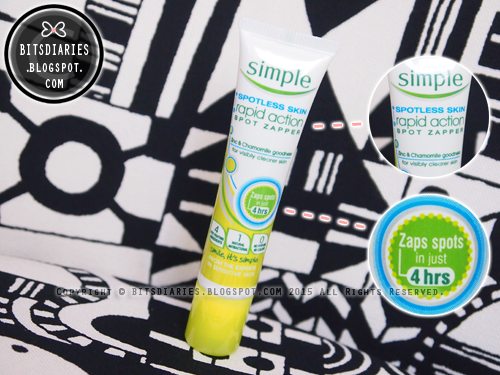 The product comes in a squeezable tube with a plastic screw-off cap. 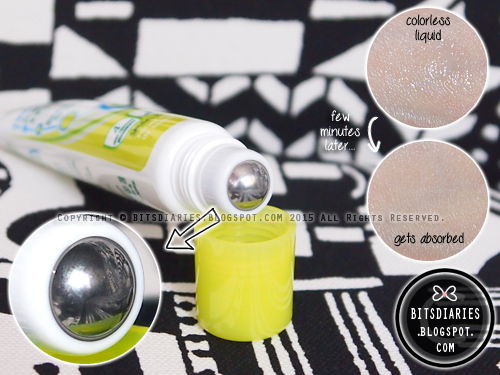 It has a roll-on applicator which is easy to use and perfect for on-the-go application. Overall, the product packaging is pretty compact so it's easy to bring around. Usage/Directions: Apply directly onto spots as soon as they appear. Repeat application until the spot has disappeared. For optimal results, use it with the rest of the Spotless Skin products. I have a love-hate relationship with the applicator. The applicator is attached with a roll-on metal ball and it works like a roll-on deodorant which I find it unhygienic. However, the applicator allows a targeted application and it gives a soothing and cooling sensation during application. Each time I roll it on my skin, it releases some transparent liquid which takes a while to get absorbed into my skin after application. It does not leave a very sticky layer hence, in my view, it can be used under makeup as long as you let it gets fully absorbed into your skin prior applying makeup. In my view, it is really gentle and is a perfect spot treatment for sensitive skin user but I think it is more for people who are in their early stage of growing pimples (e.g. teens) and/or have yet to use Salicylic Acid or any other stronger anti-acne ingredients for a long term. I think it might work out better and might show significant results for such group of people. 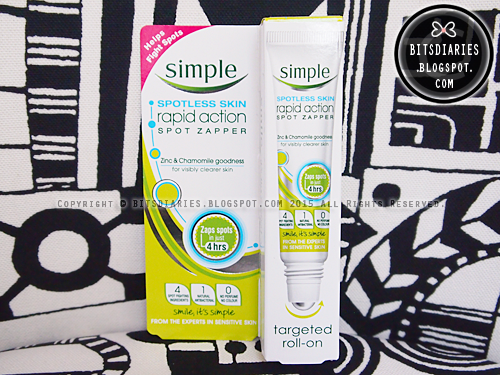 Simple® Spotless Skin Rapid Action Spot Zapper is available in Cold Storage, Guardian, NTUC FairPrice, Watsons at the price of SGD$23.90.